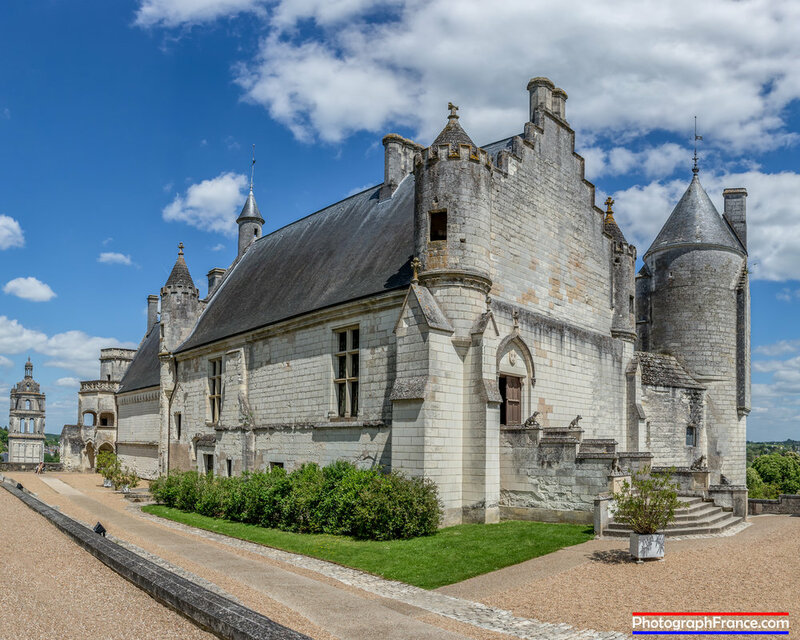 When The Hundred Years War with England finally ended in 1453, some defunct fortresses, such as Amboise, were converted into comfortable palaces. Not Loches, which is strange because two cultured women lived here, Agnès Sorel and Anne of Brittany. Henry Plantagenet, King Henry II of England, one of the most powerful men in Europe and his son King Richard the Lionheart lived here but not at the same time. The dysfunctional family was at each others’ throats for most of their lives. It was Henry who built the massive defensive curtain wall around the Château. He did the same with his castles in England, although in the end it was not his foes who did for him, it was his wife and sons. In 1193 Prince John, who would be known as bad King John in England, took custody of Loches while his brother Richard the Lionheart was on Crusade but was so useless it was quickly taken by the French. So pathetic was John in battle, he was known in France as Soft Sword. On Richard's return, according to legend, the Lionheart, an altogether different kettle of fish who loved a good fight, took it back in three hours which is difficult to believe when you look at the fortifications. When Richard died in 1199, the French took it and kept it. Wherever you go in France you stumble across plaques saying this is where Joan of Arc changed horse, spent the night or took a tea break but Loches really can say Joan Was Here. The Truly Awesome Joan came here in 1429 to see King Charles VII, who was only a notch up from Prince John in the bravery stakes. Having just won an astounding victory against the English at Orléans, a battle at which Charles was notable only by his absence, she hotfooted it to Loches to tell him the coast was clear and it was now safe for him to claim his crown. Charles was the first King of France to settle in the Loire Valley. He didn’t have much choice. His father, Charles VI, Charles The Mad, disinherited him and ceded the crown of France to Henry V of England. A king with no crown and no palace, Charles settled in Bourges (his nickname was King of Bourges) with a penniless makeshift court. This was the second time Joan met Charles. The first was at Château Chinon when she asked his permission to fight the English. She was 17. When Joan was captured, Charles abandoned her in her hour of need. He didn’t lift a finger to save the girl to whom he owed his throne. Tried for heresy, she was burned at the stake in Rouen in 1431 when she was 19. Loches enjoyed a heyday following Charles’ coronation. He set up a royal court here and held lavish parties to honour Agnès Sorel, the love of his life. He was the first French king to have an official mistress. Agnès, who played an important part in the history of Loches, met Charles when she was lady-in-waiting to the Queen's sister. She was known as La Dame de Beauté because Charles gave her the Château of Beauté near Paris. She was with Charles at Chinon and Loches when he met Joan of Arc. Her influence on him earned her powerful enemies including Charles’ son, Louis who hated her and his father. Agnès and Charles had three daughters. One grandson, Louis de Brézé, married Diane de Poitiers, a Royal Mistress even more famous than Agnès. Co-incidentally Diane, who knew all there was to know about Agnès, came to Loches to visit her father who was in prison there accused of plotting against François I. When Agnès, his lover and soulmate, died suddenly in 1450 age twenty-six (foul play was suspected) Charles ordered an elegant tomb of black marble and white alabaster. A triple coffin of oak, lead, and cedar is inside. Her hands are folded in prayer and she is, bizarrely, wearing a crown. At her sides are two angels and at her feet are two lambs (French agneaux reminiscent of her name). She was buried in the church of Saint Ours according to her wishes but did not RIP. French Revolutionaries scattered her bones to the four winds. Except for her tomb, which was restored in 1809 and the tower named after her there is not much of her spirit at Loches even though she loved it so much. Saint Ours is an enigma. We wrote to the Vatican to tell us what he did to earn canonisation but answer came there none. 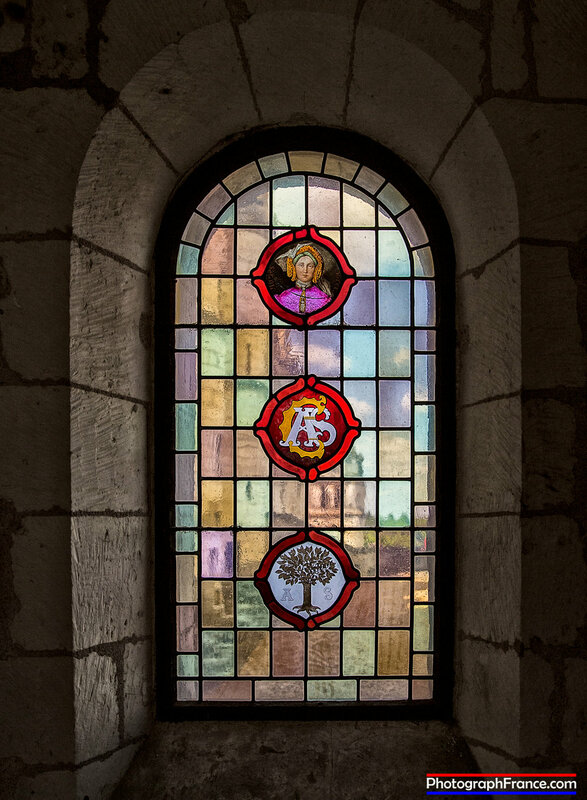 Queen Anne of Brittany left her mark on Loches. She built an oratory here to pray for the souls of her dead babies. The walls are carved with her emblem of ermine tails. Pregnant most of her married life, she had a child every fourteen months. Her marriage with Charles VIII produced seven, her marriage with Louis XII another nine. Her first daughter by Louis, Claude of France, Queen consort of François I was born disabled. Anne died age 36 at Château Blois in 1514. Without a doubt, the WOW factor at Loches are the ruins of the vast, astonishing Keep. Not for the faint-hearted but if you have a good head for heights you can climb the walkways to view the inside. You can also visit the dungeons and the Round Tower where there is a reconstruction of the two metre square cage in which political prisoners were kept. One was used in 1489 to teach Philip de Commines a lesson. Implicated in a rebellion, he was confined at Loches for two years (1487 until 1489) in one of its famous iron cages. He wrote an historical record of immense importance because of his cynical look on the events he witnessed, a major primary source for 15th century European history. By 1490, a year after his release, he was employed by Charles VIII. When he was sent on an embassy to Calais, an English possession, he met English exiles including Henry Tudor (King Henry VII) and King Edward IV. He said ‘Out of all the countries I have personally known, England is the one where public affairs are best conducted and regulated with least violence to the people’. Sadly, there is not much sense of Ludovico Sforza, the exiled Duke of Milan imprisoned here until he died in 1508. The world owes Ludovico a debt of gratitude. A close friend and mentor of Leonardo da Vinci he asked him to paint The Last Supper for his family mausoleum in the monastery of Santa Maria delle Grazie. Few today have heard of him which is a shame because without him the world would not have the most famous wall painting in the world which, five hundred years later, is still the talk of the town.